This may involve switching ESPs, but don't let that intimidate you. 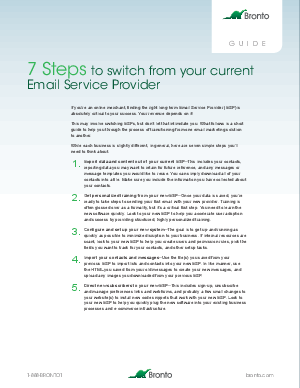 What follows is a short guide to help you through the process of transitioning from one email marketing solution to the other. While each business is slightly different, in general, here are seven simple steps you'll need to think about.